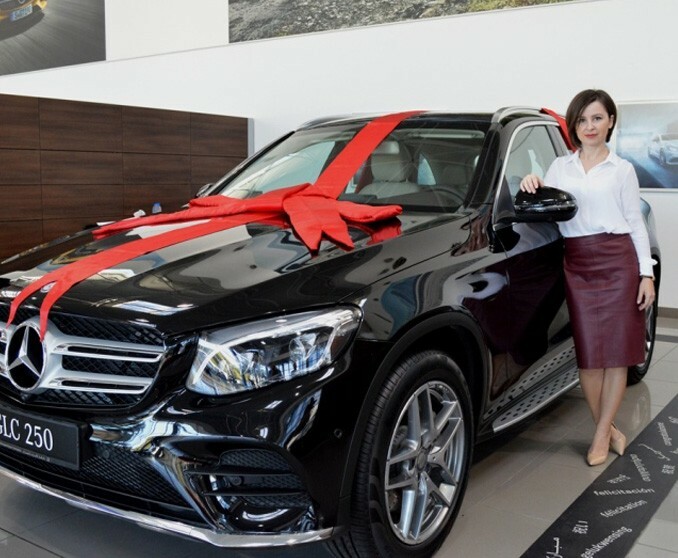 Abu Dhabi HSBC Golf Championship winner of the all-new 2016 Mercedes-Benz GLC 250 from Emirates Motor Company (EMC), Elena Karnaukhova, talks about her first experience with playing golf at the Abu Dhabi Golf Club. She continued, “Then, when I got the call from EMC that I had actually won the GLC, I was shocked! It was a surreal moment. Out of thousands, they chose the golf ball that I had dropped off, coincidently, at Marina Mall Abu Dhabi to complete the draw process. EMC – Mercedes-Benz authorized distributor in the Emirate of Abu Dhabi and the flagship company of Al Fahim Group – is the official car sponsor of the Abu Dhabi HSBC Golf Championship 2016 as a keen supporter of the elite sport of golf.